The Mopar ’16 Ram Rebel was named the “Best Off-road Vehicle” by the Rocky Mountain Automotive Press at the 10th Annual Mountain Driving Experience. Every year, more than 30 journalists head to the Devil’s Thumb Ranch in Tabernash, Colorado to spend two days driving and grading various trucks on their capabilities. At the end of this, the journalist then compare notes and votes to showcase which vehicles they believed shone more brightly than the rest. In this year, the 10th Annual Rocky Mountain Driving Experience, the Mopar 2016 Ram Rebel was the shining star of the truck category. The 2016 Ram Rebel is based on the Ram 1500 4×4 Rebel Crew Cab and is the first time Mopar has modified a vehicle in the truck segment. It features numerous upgrades, including a skid plate to guard the power steering box and 17-inch satin black wheels. It’s an eye-catching truck that does not skimp out on capability, as the journalist who could spend time with it found out. It’s the best of both worlds; visually appealing and keeps the power of a truck. New Yorkers are loving the Ram ProMaster. It seems that Ram just can’t keep up with the demand! Ram Commercial Truck brand hosted a special one-day dealer drive-away event for truck dealers in the New York Area. 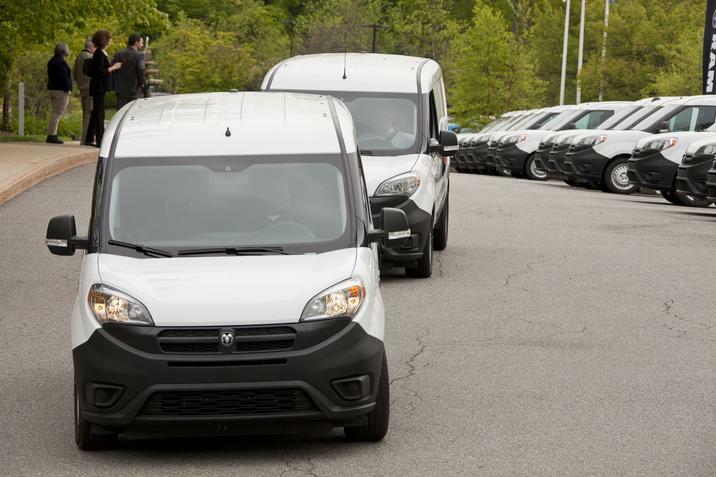 The dealers came in to pick up dozens of the ProMaster to get them back to the dealerships in order to meet the high demand. Ram is having trouble keeping up with what can only be described as unprecedented demand and wanted to make a show of their effort to keep up with giving people what they want. The ProMaster has been having an amazing sale streak for the past few months. Februray, March, and April set records for Ram’s Commercial Trucks and the brand as a whole has been on the rise for demand and popularity. It’s hard not to see why. The ProMaster is perfectly suited for a city like New York. Many businesses need to be mobile, but also need something that is comfortable to drive in the crowded streets. The ProMaster offers the best of both worlds. It is easy to see why any small, or large, business operating in New York would want to get their hands on one of these. Ram has been the ‘Truck of Texas’ for a while now. It makes sense that when it comes time to put together a custom truck, that the great state of Texas would be getting its own special edition. 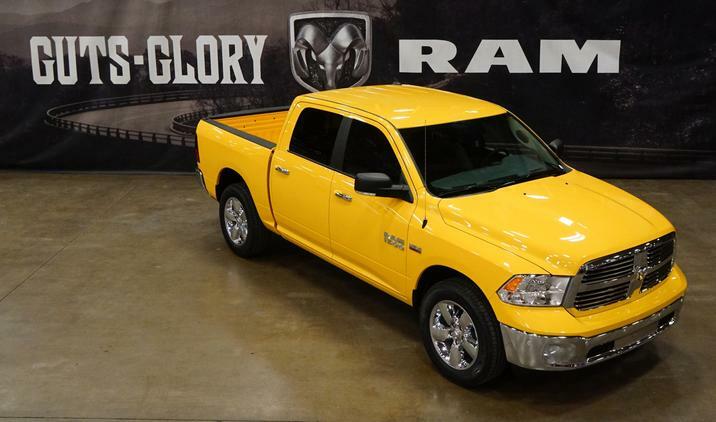 Ram is introducing the Yellow Rose of Texas edition of the 2016 Ram 1500. It has a Stinger Yellow paint color, not to confuse anyone by NOT having yellow paint to go with its name. This special edition will be offered on the half-ton 4×2 and 4×4 crew cab versions of the Ram 1500 Lone Star. The name Yellow Rose of Texas comes from a mid-19th century American folk song. It was later covered by artist Mitch Miller and was a Billboard Number One hit in 1955. Texas and Ram trucks have a long history together. It’s hard not to see Texas as a primary region for trucks. This is also not the first time that Ram has put together a special edition truck in honor of Texas. In 2014, they collaborated with the Texas Ranger Hall of Fame and Museum with a Ram Texas Ranger concept car. They’ve also provided much needed aid to residents hit by floods in 2015. If you’re interested in learning more about the Ram 1500, then contact us at Bayside Chrysler Jeep Dodge. View our new and used line-up on our website. Be sure to download our mobile app to keep track in real time of your vehicle when it is brought in to be serviced. Like us on Facebook, follow us on Twitter, and subscribe to us on YouTube to see more auto news and monthly specials. The Ram ProMaster is Ram’s newest entry into one of the hottest markets in cars right now; the commercial truck segment. The ProMaster City is designed to be a smaller van for smaller businesses that need large amounts of equipment or product trucked across a busy city like New York. The ProMaster City also has been chosen by The Fast Lane Truck to tackle their Ike Gauntlet extreme towing test. It is the first commercial van to attempt this, so let’s see how it turned out. In a video uploaded to their YouTube channel, they run their viewers through the engine and drive of the ProMaster City. Of note in their drive on the route, the ProMaster City easily handled with the towing cart hooked up behind it and offered amazing visibility with its mirrors, being able to see all around comfortably while keeping eyes on the trailer. All along the route, the drivers were impressed with what the ProMaster City had to offer. With the size and the weight, they weren’t sure what to expect. It is clear by the end, however, that Ram had convinced them of the quality of their commercial cargo van. Be sure to check out the full video to see how the ProMaster City handles itself. 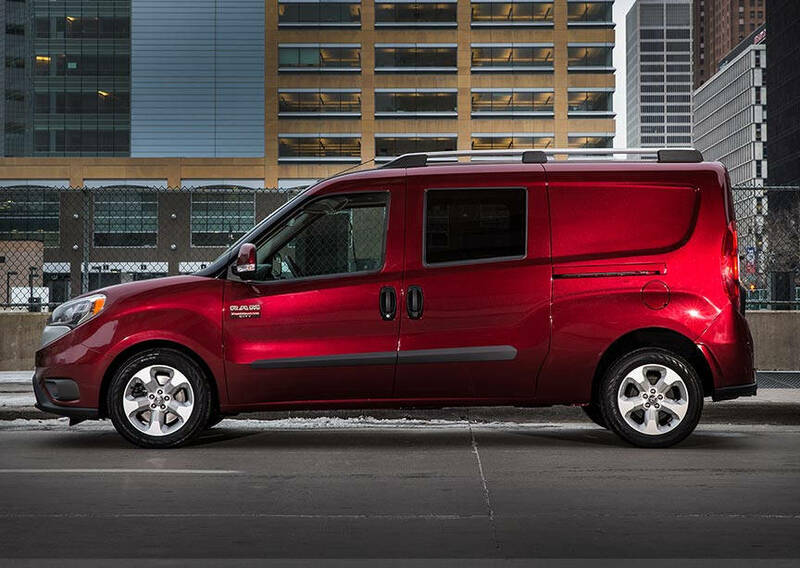 If you’re interested in learning more about the Ram ProMaster, by contacting us at Bayside Chrysler Jeep Dodge. View our new and used line-up on our website. Be sure to download our mobile app to keep track in real time of your vehicle when it is brought in to be serviced. Like us on Facebook, follow us on Twitter, and subscribe to us on YouTube to see more auto news and monthly specials. AUTOMOBILE Magazine has named its 2014 All-Stars, and for the second year in a row, the Ram 1500 has made the prestigious list. “The list of options and the refine interior rival those of a luxury car,” wrote the AUTOMOBILE Magazine staff. “And a new diesel engine – the only one available on a light-duty pickup – achieves the fuel economy of a mid-size crossover.” The 2014 Ram 1500 EcoDiesel has a best-in-class fuel efficiency of 28 mpg. The full list of AUTOMOBILE Magazine’s All-Stars is available here. If you’re interested in learning more about the award-winning Ram 1500 or other Ram trucks, contact a sales rep at Bayside Chrysler Jeep Dodge. Our new and used line-up is available to browse online on our website. Also, like us on Facebook and follow us on Twitter to see our monthly offers and special deals. Ram Trucks announced this week that the popular Black Express package, which was formerly only available for the Ram 1500 package, will now be available for the Ram Heavy Duty 2500 and 3500 SRW. Some of the features of the 2014 Ram Heavy Duty Black package include an all-black exterior, 20-inch black aluminum wheels, fog lamps, black grille surrounded with black horizontal inserts. The dark front and rear bumpers and the head badges complete the look. Obviously it isn’t called the “Black package” for nothing. 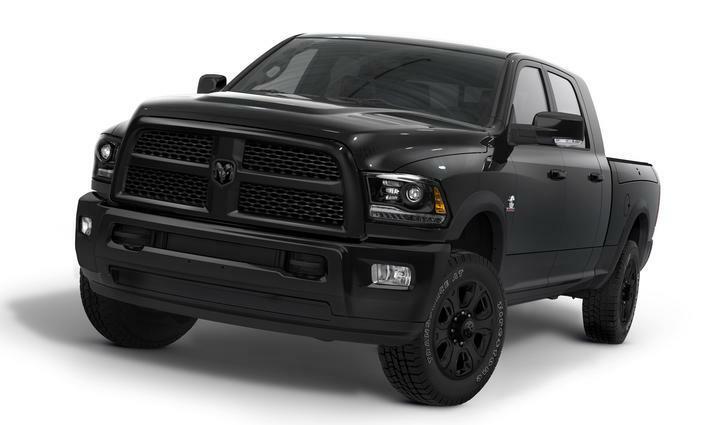 Beyond the look, the 2014 Ram Heavy Duty Black Package comes with a cargo-view camera, RamBox, manual transmission for diesel, and link coil rear suspension with air suspension option. Buyers interested in the Heavy Duty Black package can order it with the Ram 2500 and 3500 SRW, Crew Cab, Mega Cab, Big Horn/Lone Star, and Laramie models. Pricing starts at $42,140 with an additional $1,195 destination charge. Last year, Ram Trucks announced that it would be sending out designers Timothy Dahl, Brett McKay, and Bob Vila to three lucky Ram owners to give them a proper “Ram Cave.” Every new garage would be built to meet the needs of each winner, whether if it means starting with a bare-bones garage or giving a great garage an extra special touch. Yesterday, the Ram Trucks channel premiered the videos of all three winners getting their garage makeovers. Timothy Dahl went to meet Lee in Portland and show off the new Ram 1500. Bob Vila headed out to Prior Lake, Minnesota to meet with Rachel, who had won the contest for her father Dan, and show off the Ram 2500. Finally, Brett McKay took off for Maryland with the Ram 3500 to meet with Randy and his family. Randy’s wife had been diagnosed a year ago with breast cancer, and with the new Ram Cave, he will be able to continue his work on Ram Trucks and be closer to his family. 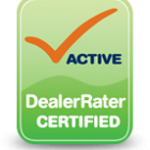 You can learn more about the all-new 2014 Ram 1500, 2014 Ram 2500, and 2014 Ram 3500 over at www.baysidechryslerjeepdodge.net and browse their new and used inventory online. You can also connect with Bayside on Facebook, Twitter, and YouTube for the latest news and specials. The Ram 1500, Chrysler’s big seller of February, has an EcoDiesel version of the popular model coming to dealerships any day now. Drivers looking for more power in their truck will not be disappointed. The truck’s 3.0-liter V6 engine from VM Motori, an Italian engine manufacturer, is a perfect pairing of power and new technology, and manufacturing of the truck itself happens in the United States at the Warren Truck Assembly Plant. 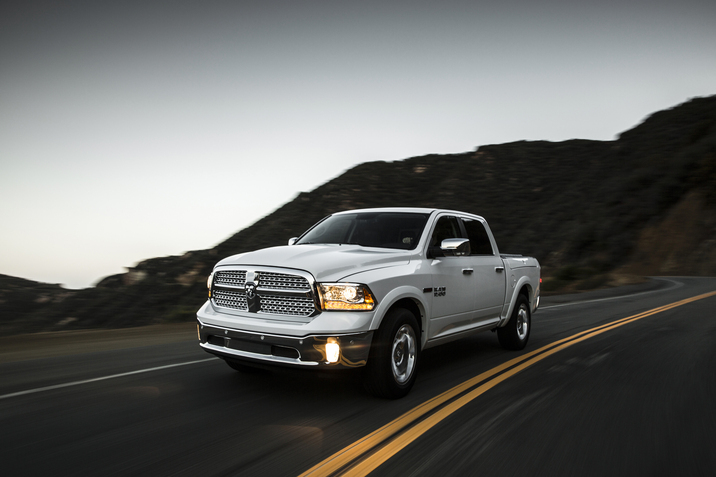 The Ram 1500 EcoDiesels will be capable of towing up to 9,200 pounds, and its fuel economy is measured at 28 mpg highway. 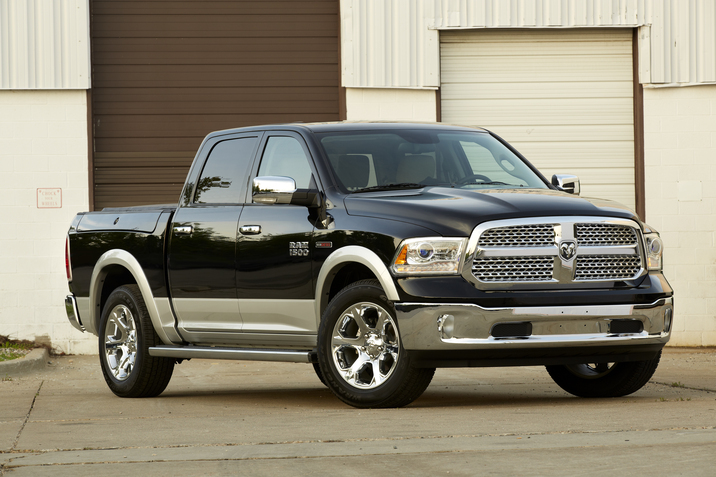 For those who missed the chance to order their Ram 1500 EcoDiesel, there is no need to worry. 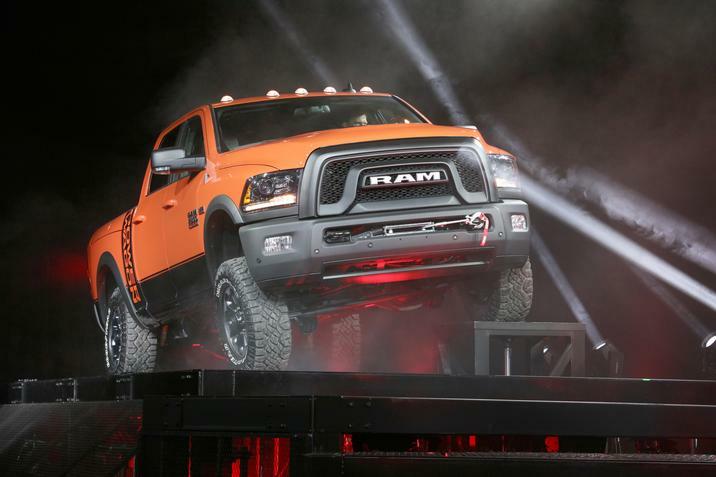 Ram Trucks will be opening orders again in March. If you’re interested in learning more about the award-winning Ram 1500, contact a sales rep at Bayside Chrysler Jeep Dodge. Like us on Facebook and follow us on Twitter for more truck news and to see our monthly specials. 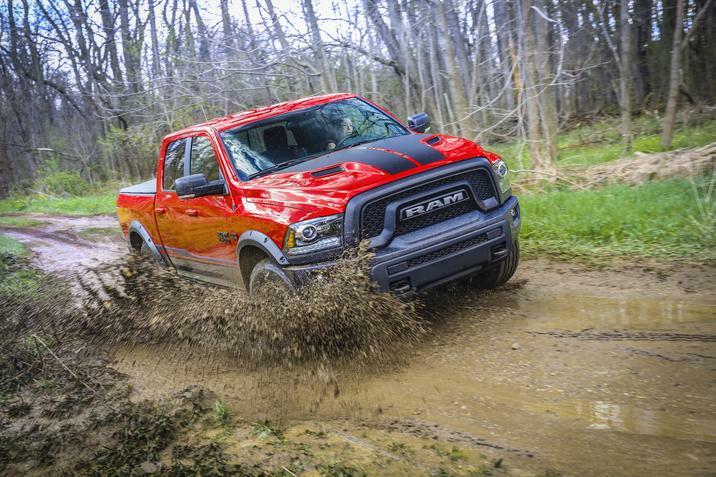 How does Ram celebrate winning Motor Trend’s “Truck of the Year” for two consecutive years? They wrap the Chrysler Group headquarters in a 155-feet-tall picture of the Ram 1500. In December, Motor Trend announced that the 2014 Ram 1500 had been named “Truck of the Year,” a great honor considering that the 2013 Ram 1500 had won “Truck of the Year” the year before. 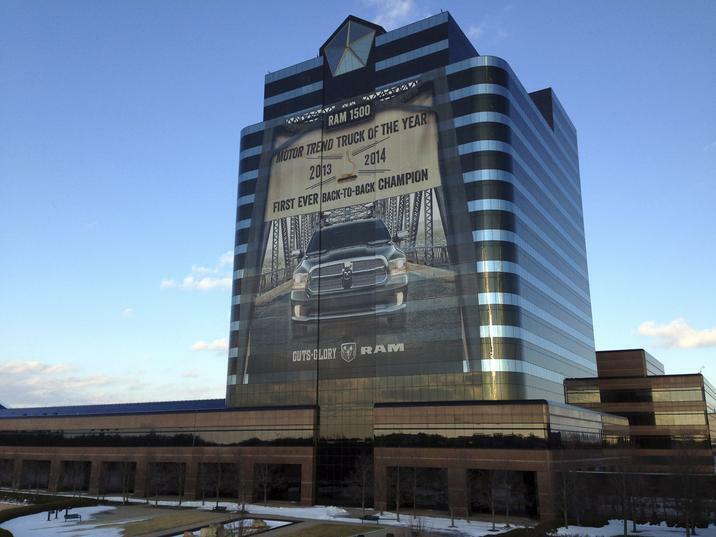 The Ram Truck brand wanted to celebrate the Ram 1500 and everyone at Ram behind this award-winning truck, and the only way to properly celebrate such an exciting award was to go big with a building wrap on the Chrysler Group LLC headquarters in Auburn Hills, Michigan. The Ram 1500 image on the building wrap is so enormous that it takes up four floors of the building. The windshield alone is 18 feet wide by 4 feet high, and the truck grille is 40 feet wide by 15 feet tall. It took four days to install the wrap on the building, but considering all the drivers seeing it from Interstate 75, the effort was well worth it.